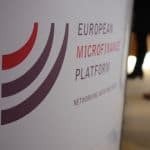 European Microfinance Week (EMW), Nov. 29-Dec. 1, 2017, and hosted by e-MFP, is one of the top events in the microfinance calendar and a unique meeting point for all professionals working in the inclusive finance sector worldwide. With an unparalleled program and prestigious speakers, the event is widely recognised for its high-quality sessions and excellent networking opportunities. Last year’s event attracted close to 500 participants from 58 countries (check out the previous edition here). As usual, the first day, Nov. 29, will be “Action Group” Day, where our specialised working groups meet to build on their months of work by holding in-depth discussions and training on their focus topics such as inclusive green finance, digital innovations, SME finance and rural finance. For the first time too, we’ll also feature a TED-style session on digital and customer-centric solutions. Confirmed speakers include: Sandra Callison, Habitat for Humanity; Bobbi Gray, Grameen Foundation; Renée Chao-Beroff, Pamiga; Paul DiLeo, Grassroots Capital Management; Laura Foose, SPTF; Stewart McCulloch, VisionFund International; Laura Hemrika, Credit Suisse; Antonique Koning, CGAP; Davide Forcella, CERMi; Babak Abbaszadeh, Toronto Centre; Alexis Lebel, OpenCBS; Dirk Zetsche, University of Luxembourg; Ali Basharat, Pakistan Microfinance Network; Eugene Doce, Frankfurt School of Finance and Management; Edmund Higenbottam, Verdant Capital; Mona Kachhwaha, Caspian and Jonathan Agwe, IFAD. We also look forward to hearing the announcement of the winner of the European Microfinance Award on Microfinance for Housing during the ceremony on Nov. 30, to which all EMW participants are invited. 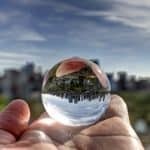 Christoph Pausch, executive secretary of e-MFP, says: “European Microfinance Week continues to grow, evolve and diversify, reflecting the changes underway in the inclusive finance sector and the people and organisations that are making it happen. We look forward to gathering the leading experts from all around the globe to share their expertise and advance innovations in the sector”. EMW 2017 is the ideal opportunity to learn about the most recent innovations, trends and opportunities in the inclusive finance sector. Don’t miss out! For more information and to register, visit www.e-mfp.eu. 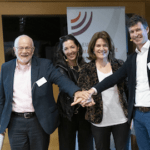 Niamh Watters is Information Officer at European Microfinance Platform. Photo courtesy of European Microfinance Platform.